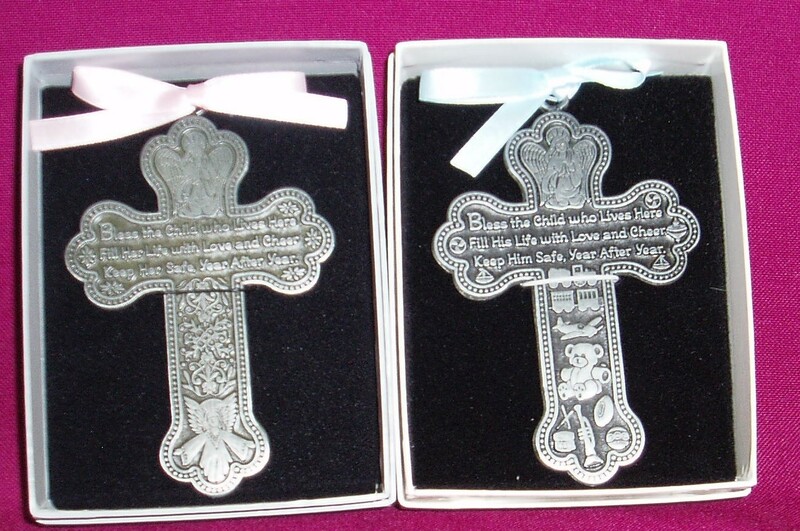 This metal crib cross, for boy or girl, is a lovely gift for the baby's baptism. It is approx 100mm in height, comes gift boxed, and the inscription reads: "Bless the Child who Sleeps Here. Fill his/her life with love and cheer. Keep him/her safe year after year."